Your generous donations all go directly to each film’s production costs. And when you give you can specify which project you'd like your donation to fund. Or you can donate to our general fund which will be used to produce the films below. This documentary project is our main focus right now. It's about Veterans, post-traumatic stress, the 22+ per day suicide rate, what’s not working (psychotic drugs), and the many alternative treatments that are working. This film is literally save lives. 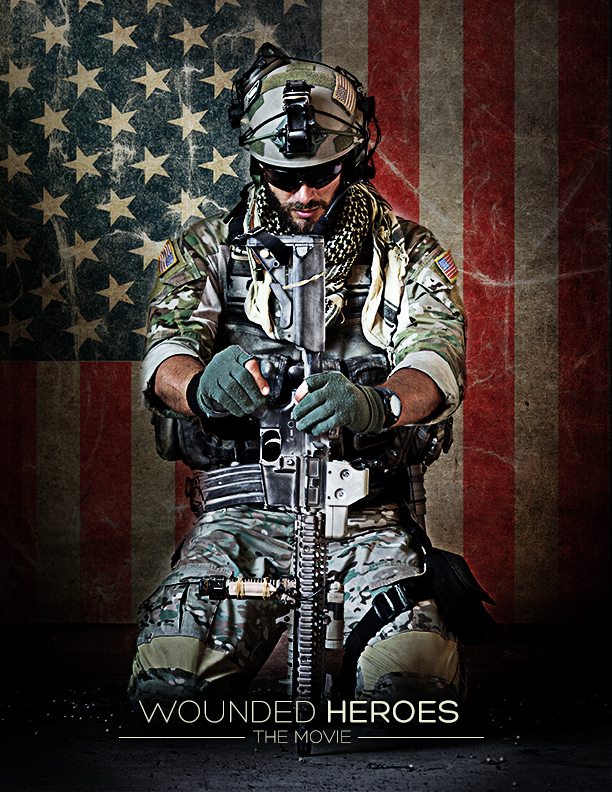 You can watch the promo video here, www.WoundedHeroesDocumentary.com. After we release the documentary, we're also producing a full length theatrical film on the same subject. You can get more details about that project HERE. This is a biography series that showcases individuals that do something special to help others in their community. For example, Dr. Leslie Bonar gives free dental care to homeless veterans, Hector Rosales gives away freshly made hot tacos for donations and then takes the net profits and buys notebook computers that he gives away to low income high school students to help them in college. We produce this series to not only tell inspiring stories, but also to encourage others to find something they can do in their community to give back. ​Click HERE to watch episodes of this TV series. We are a 501(c)(3) non-profit. All donations are tax deductible. ​This short film will highlight the many ways traffickers approach their victims in hopes of educating young adults so that they don't become victims. ​People think that slavery ended with the civil war but that is not true. There are more slaves today in our world than there were in any other time. And that includes the 400 years of the transatlantic slave trade. Human trafficking is the second most criminal activity in the world. It recently surpassed arms trafficking and is second only to drug trafficking. The traffickers realized that with drugs you can only sell it once. But with woman, men, boys, and girls, you can sell them over and over again. This is a biography series that showcases people that have overcome something they thought was impossible. Coleen H. was in a verbal and physically abusive marriage. After years of abuse and extreme low esteem, she found the strength to leave her husband, get training, and now lives a successful life with an outstanding career. Nicole O. had a difficult childhood, got mixed up with gangs, prostitution, and spent much of her life in and out of jail. After being addicted to drugs, shot, raped, and not caring if she lived or died, she found the strength to leave that life behind and get clean. Today she has a wonderful career and the freedom she never dreamed possible. This series is being produced to give hope to people that feel they are in a situation or lifestyle that is impossible to overcome. 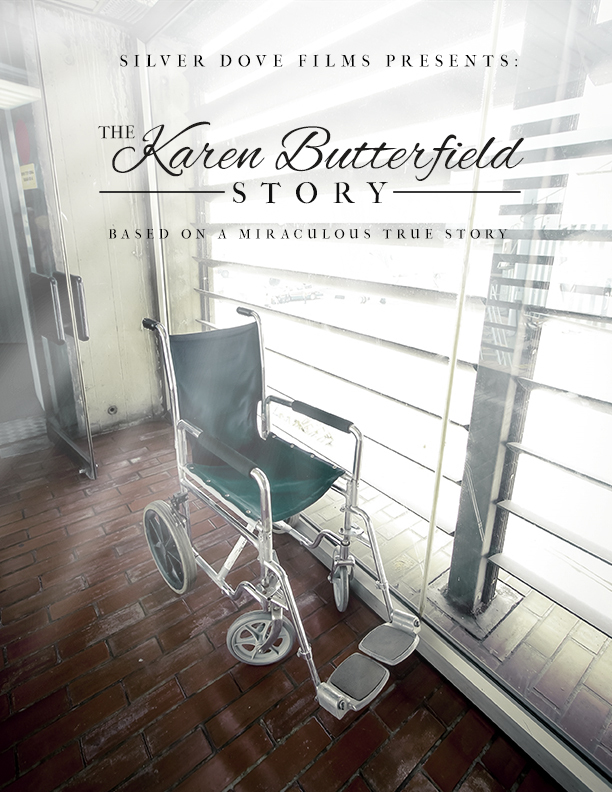 This short film is based on a true story about Karen Butterfield who was diagnosed with ALS, an incurable disease. After three years of treatment and wheelchair bound, she was given three months to live. But One day she was miraculously healed, and now many years later she is strong and healthier then she’s ever been. Her doctors have no explanation except to say it’s a miracle. 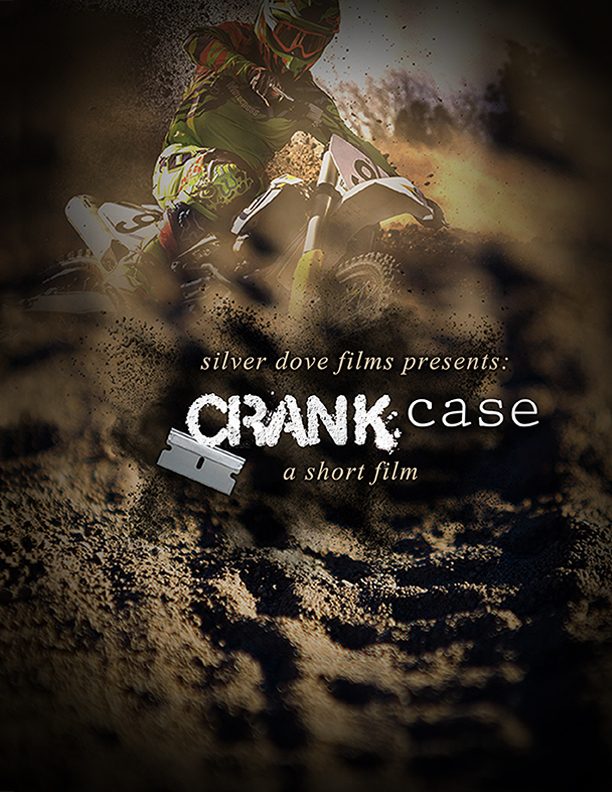 Like all of our short films, this film will be given to non-profits and available to watch online; all at no cost. This short film is an anti-drug film that is inspired by true events. 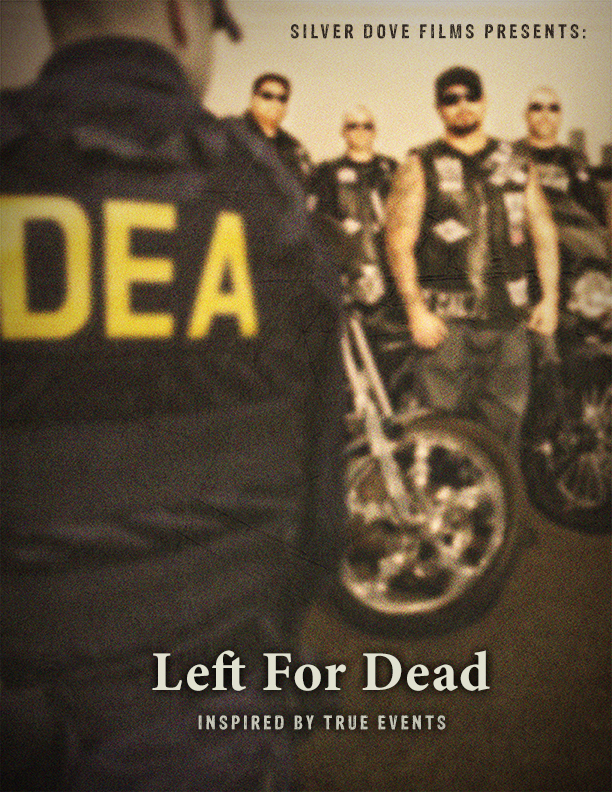 It's about a DEA agent who goes undercover in a biker gang. When he’s found out, he's shot and left for dead. Like all of our short films, this film will be given to non-profits, available to watch online, and offered to schools; all at no cost. Pressure mounts as a teen, Matthew, enters his senior year of high school and his ex-Marine father encourages him to do his best so that he can go to Annapolis. Instead Matthew would rather become a professional motocross racer. To ease the pressure, Matthew turns to alcohol which in turn leads him to pot and eventually the very addictive drug Crank. 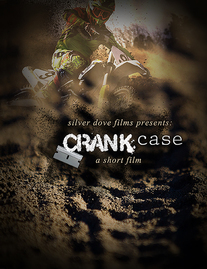 His life spirals out of control as he loses everything and enters a race for his life. Every 95 minutes a teen takes their own life due to ​Adolescent Depression. Teens are much better at hiding their depression than adults and so many times the people around them have no idea there's even a problem until it's too late. This feature film will not only be entertaining but it’ll also bring more awareness to the problem, show the warning signs, and help people to notice there's problem before it's too late. At the end of the film we'll show teens where they can go to get help. We need to raise a minimum of $250, 000 to produce this film. This is a full length feature film that deals with the problem of online gambling. Online gambling is a fairly new addiction that’s growing at an alarming rate in America with online gambling websites among the fastest growing and most profitable businesses in existence today. People can now gamble online 24/7 using their computers, laptops, and even smart phones. At the end of the film we’ll provide information about where and how to get help. This film will not only be entertaining but it’ll also cover a number of important issues. We need to raise a minimum of $250, 000 to produce this film. We can't make these films without your help so please consider Donating today. Thank you for making our films possible with your generous donations.